i thought the « 3 » were before that !!! Went through all the skateboarder mag pages from 1975 (thanks to a cool’member Who sent me the link ,-) and found the first ad for Powerflex 3 in a late 1976 issue. Fred I put a mint NOS set on that G&S Freestyle which is '77. They did Powerflex 1s as well, which I think came out even earlier. Don't see those very often. Don't think we saw them until mid 77 in the UK. 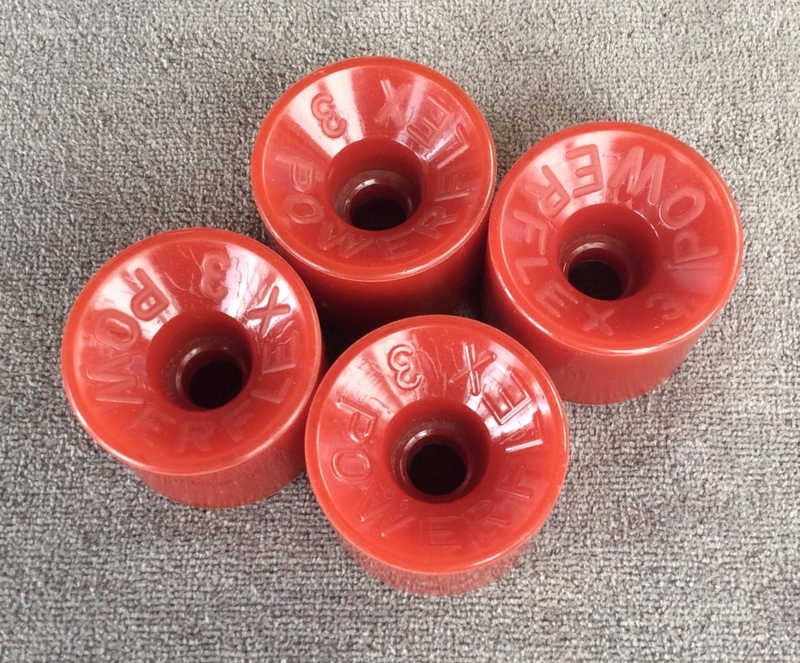 They did 3,5,7,9 Powerflex wheels. Probably because a Road Rider were 2,4,6.